Today again we’re back with the writing of Don Merritt at The Life Project. He’s currently in the middle of a study of 1 John. So far in this letter, John has given us a reminder of the supremacy of Jesus Christ; who He is, what He is and His nature. John gave us a comparison and contrast of what the “Light” is, and who is and who is not “in the light.” Then John reminded us of who we are in Christ and how amazing that is. In the previous section, John warns us not to love this world, and now John is taking us to the front lines on a battlefield, where it becomes plain why he has taken us on this journey to show us just who we are, and just who “they” are. This is the first mention of the term “antichrist” in the Bible. It means someone who is against or in place of the Messiah. In these verses, John mentions twice that we are in the “last hour,” which is interesting when you consider that many will suggest today that there are more hours to come. Whoever these antichrists were, or are, they appear to have been hanging around us, and then to have gone rogue. If nothing else, in these two verses, we can be sure that these rogues were hanging around, but they were never “in the light.” Recall the descriptions of “in the light” and “in the darkness” in vv. 1:5-2:11… These characters were the ones in darkness. Now we have a little more information: The rogues John is talking about deny that Jesus is the Messiah. That is a bald-faced lie, and those who are in the truth would never make such an assertion, so these guys were not in the light. No person who denies that Jesus is the Messiah is in the Son, and if a person is not in the Son, they are also not in the Father: They are antichrist, and there are many of those in the world. One final thought and that’ll be it for now… You know all those stories and books and movies about evil forces that lead the righteous astray? “The Exorcist” “The Omen” etc., etc…? They really freak people out, which is why they make so much money, right? People become afraid, and being afraid becomes a distraction for some. At the same time, you have in these verses a very simple way to discern who the liars and antichrists are; a third grader can understand it. You also have a solution to defeat the lie that a third grader can understand: stand on the truth of the Word of God, and reject outright the lie. As simple as this is, many will become so uncomfortable because of the stories and the idea of spiritual warfare, that it almost makes me wonder if these stories of myth, legend and popular fiction are actually part of the lie itself, so that we won’t fight back, and our superior firepower will never be brought to bear on our foe. Hmmm… do you think we need to have a healthy relationship with the Lord? The major takeaway I took from today’s devotional is that spiritual warfare is not always an external battle; it may begin with an inner fight. Today we’re paying a return visit to the devotional page at Daily Paradigm Shift. We visit these blogs either annually or every six months in the hope that at some of them you’ll see writing which resonates and want to bookmark or subscribe to their sites. 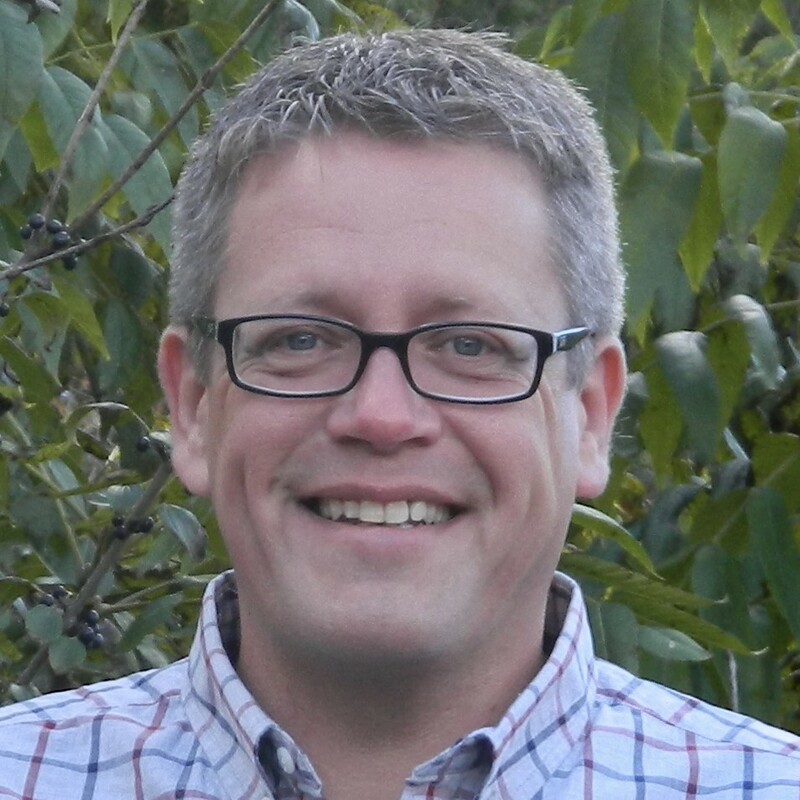 Today’s writer is Brian Maisch. In Mark Chapter 9, Jesus’ disciples are unable to cast a demon out of a boy. Then Jesus shows up on the scene and is able to cast it out. When they get alone with Jesus, the disciples ask Him why they couldn’t cast out the demon, and Jesus tells them that it is because of their unbelief. Jesus’ exact answer to the disciples is, “Because you have so little faith. Truly I tell you, if you have faith as small as a mustard seed, you can say to this mountain, ‘Move from here to there,’ and it will move. Nothing will be impossible for you” (Matthew 17:20 NIV). Brothers and sisters, we live under an open heaven! Satan has already been defeated. Jesus has given us the authority in the heavenly realms to unlock any door that needs to be unlocked in order to carry out His will on this earth. Matthew 18:18 NIV says, “Truly I tell you, whatever you bind on earth will be bound in heaven, and whatever you loose on earth will be loosed in heaven.” The only battle left to fight is the one we fight with ourselves to dispel unbelief and to trust God! If the same Spirit that raised Christ from the dead lives in us, then there is absolutely nothing the enemy can put in front of us that is more powerful than that Spirit. It’s not even a competition! Therefore, the enemy’s main tactic is to get us to doubt. He is constantly trying to instill unbelief, while the Holy Spirit is constantly working to instill faith. The enemy’s main tactic is to twist the truth in such a way that we begin believing things that are incorrect about God and incorrect about ourselves. Sometimes it seems like the enemy’s main weapon is the Bible itself! He twists and distorts scripture to confuse people and keep their lives from bearing fruit for the Kingdom. #1. Spending intimate and meaningful time in the presence of God. Spending intimate and meaningful time in the presence of God is the most important activity in our lives. It helps us to establish a relationship with our creator. It is where we learn His nature, His voice, His touch and His will. This is how we practically allow Jesus to teach us and guide us in every step of our lives. Maybe it would be better to say falling in love with God’s word. This goes right along with the first point. God’s word brings clarity and insight into the things that God is saying to us. It shows us God’s nature, and helps us to understand His will. #3. Guarding our hearts and minds. The enemy has set up the world system to fight for our affection. It will constantly try to turn us away from Jesus, and towards our own selfish desires. Therefore, we have to draw lines in the sand. We have to protect ourselves from destructive mindsets and behaviors. Part of that process is controlling what we allow into our minds. Over the years, I have had to stop watching certain television shows that I knew were destructive, distance myself from certain friends who were pulling me in the wrong direction, and surround myself with people who would hold me accountable in my areas of struggle. #4. Hanging around people with outrageous faith. Bill Johnson, senior pastor of Bethel Church, always says, “If you want to slay giants, then hang around a giant slayer.” We all need people in our lives who stretch our faith and compel us to deeper levels of reality in the Kingdom! There have been so many times where I could feel the snares of the world getting a hold of me and smothering the faith in my life. Declaring a fast is a way to draw a strict line in the sand, and to separate ourselves from the worldly things that have become louder than heavenly things. Whether it is food, social media, television, or all the above, fasting is great way to unplug from the world and get plugged back into God. These are just a few tools that have helped me in my journey. The bible provides many weapons for fighting unbelief. No matter what weapon you choose, the most important thing is engaging in the fight! Instead of rolling over and giving in to yourself, make the choice to proactively fight to dispel unbelief! Almost exactly a year ago we introduced you to homeschool curriculum writer Anne Elliott . At that time we had discovered a much older article by her, and decided this time around to feature something more recent. Click the title below to read on her site, and then navigate from there to check out other articles. Sometimes we start to feel very sad. Circumstances seem overwhelming, and promises from God take too long to come to pass. Tears flow when we don’t want them to. We lose our desire to work, to eat, to be with our loved ones. We just want to crawl into bed. The Bible calls this a spirit of heaviness. The planting of the Lord, that He may be glorified” (Isaiah 61:3, NKJV). Other times we start to feel very hurt. People accuse us of things we didn’t do. Our hearts feel bruised, and we react in anger when our thoughts merely turn to the words said. We struggle to be with them, and to restrain unkind words, and our faces turn red with passion when they aren’t even in the room. The Bible calls this a spirit of bitterness. “Therefore I will not restrain my mouth; I will speak in the anguish of my spirit; I will complain in the bitterness of my soul” (Job 7:11, NKJV). Other times we feel paralyzed with worry. We know God loves us and has done good for us in the past, but this time feels different. The giants look bigger, and we feel deserted. Our hearts pound, our stomachs hurt, our eyes widen. We can’t think of anything else. The Bible calls this a spirit of fear. As the Scripture clearly says, these spirits do not come from God! I’ve been pondering this. How do thoughts like these ever enter our minds, causing emotions and reactions in my body, when they do not come from God? They originate from the deceiver, who plants them in our hearts and minds. “And supper being ended, the devil having already put it into the heart of Judas Iscariot, Simon’s son, to betray Him…” (John 13:2, NKJV). So let me give you a picture of something I’ve been pondering. My husband has been teaching about how the Spirit of God has been given to us as a down payment and a guarantee of the promises to come, especially of the resurrection. “Now it is God who makes both us and you stand firm in Christ. He anointed us, set his seal of ownership on us, and put his Spirit in our hearts as a deposit, guaranteeing what is to come” (2 Corinthians 1:21-22). “Now He who has prepared us for this very thing is God, who also has given us the Spirit as a guarantee” (2 Corinthians 5:5, NKJV). The Spirit of God sets up His residence within our hearts, so that His presence can go before us, giving us strength, guarding us, empowering us, and leading us each day. This reminds me of the Israelites when they came out of Egypt. They received the covenant at Sinai, but shortly after, they sinned terribly by building the golden calf. Shortly after, YHVH told them that He would send a messenger before them to lead them to the Promised Land, but that His own presence could not go with them because they were stiff-necked and He would destroy them (Exodus 33). Moses interceded on their behalf, and YHVH relented. “And YHVH said to Moses, ‘I will do the very thing you have asked, because I am pleased with you and I know you by name’” (Exodus 33:15-17). Right after this, YHVH gave the plans for a Tabernacle to Moses, along with all the regulations for the worship of YHVH in the Tabernacle. The basic premise was that YHVH would dwell in the midst of His people, but they would need to be very clean in order for Him to remain there. Any uncleanness would separate them from His presence. In the same way, the Spirit of God wants to dwell in our hearts and minds, but if His presence is to guide us, we have to get rid of any uncleanness. We have to cast out the spirits of heaviness, bitterness, and fear. It makes so much sense, then, why the Enemy wishes to attack us in our minds. If he can plant anxiety and anger and panic — and if we allow him to do this — then we will not be guided by the presence of God! If we wish to hear His voice, then we have to cast out the voice of the Enemy. If we wish to be distinguished from all the other people on the face of the earth, we must stop listening to their advice and counsel, heeding only the voice of the Presence of God. If we wish to please Him, we must keep the outer courts of our hearts clean. To cast out the spirit of heaviness, we must gird ourselves with a garment of praise. To cast out the spirit of bitterness, we must bless others and not curse. To cast out the spirit of fear, we must remember what God has done for us in the past, and how He has shown Himself strong on our behalf. For myself, these things are easier when I set up some simple disciplines for my life. Just as the Tabernacle was to be maintained daily, always staying clean, we must maintain our hearts daily. It’s not enough to just passively wait for the Enemy to arrive. Start the Day with Scripture. Write down some key verses, then speak those verses all day long. The Word is truth, and when we speak it, the angels of God do His bidding and both guard our “tabernacles” and go before us to destroy the enemy. and achieve the purpose for which I sent it” (Isaiah 55:11). who obey his word” (Psalm 103:20). Pray in the Spirit. As we come into His presence with our requests and petitions, reminding Him of His promises by praying the very Scriptures themselves, then our own faith is built up and renewed. Sing and Praise. This is one of the hardest points for me, even though I love to sing. My flesh tends toward grumbling and complaining, and I often tend to focus on my problems rather than all the ways in which He has delivered me. It seems that I have to trick my body by singing aloud with a smile, with my foot tapping and even with dancing. If I am with other believers (even my kids or husband), then it can be easier. To save him from those who condemn him” (Psalm 109:30-31). Bless and Not Curse. Our Master Yeshua told us to bless others, especially when they try to harm us. This breeds a spirit of forgiveness, of understanding, of empathy. My desire to see harm come upon others is replaced with genuine concern for their well-being. The key is to remember that our true enemy is Satan himself, never another person created by God. Give Thanks. This discipline is something that needs to be done all day long, so that we can stay in a place of rejoicing. Boy, this one really takes discipline, doesn’t it? However, like all exercise, the more we do it, the easier it becomes. “Rejoice always, pray without ceasing, in everything give thanks; for this is the will of God in Messiah Yeshua for you. Do not quench the Spirit” (1 Thessalonians 5:16-19). Our adversary will certainly try to plant thoughts of evil in our hearts, but with these strategies, we can cast him out and instead see the fruit of living in communion with God Himself, His Spirit guiding us and empowering us. “You will show me the path of life; In Your presence is fullness of joy; At Your right hand are pleasures forevermore” (Psalm 16:11). Today we’re back with Mark DuPré who is an associate pastor, a film professor, a writer and a musician. He lives in Rochester, NY. Yet there is a different perspective we are to take to those things that we need. The Lord doesn’t say, “Seek after these things and I will make sure they shall be added to you.” The Word says “But seek the kingdom of God, and all these things shall be added to you.” That’s a whole different emphasis. Phrased different, God promises to meet our needs as we put Him first. That’s the order: Him first, then our needs are met. Many of us serve God in our spare time, in effect seeking the kingdom when it’s convenient. What is locked down for many of us are a solid job and a “good life,” and then in that context, we serve Him as time and energy allow. But that is not how He promises to provide. He promises to provide as we put His kingdom first. Yes, that takes faith, and it doesn’t look like anything the world has ever known or modeled for us. God is gracious and full of blessing, and “makes His sun rise on the evil and on the good, and sends rain on the just and on the unjust” (Matthew 5:45). He may have allowed you many a material blessing, but that doesn’t mean that you are putting His kingdom first. What often gets lost here in our fear of letting go and seeking His kingdom first is the promise of v. 32: “It is your Father’s good pleasure to give you the kingdom.” Unlike in the world, where we often have to swim upstream, fighting the “sharks” and burning the midnight oil to get ahead, God shows us His heart: He not only is willing to give us the kingdom, it is His good pleasure. He’s not only inclined to give us the kingdom; it brings Him joy to do so. It can be greatly challenging to live a life of faith, where we put His kingdom first and believe that He knows our needs and will supply them. But some of the pain we encounter in trying to live this way is from not fully believing that He wants to give us His kingdom. We sometimes think that He is like the world, and that we have to strive against great odds for spiritual success, as we often have to do for success in the kingdom of this world. We will always face spiritual warfare as we seek to put His kingdom first. But may we never forget that He has promised us victory in Christ. And before, during and after any struggle, it is always His good pleasure to give us the kingdom. As we keep putting His kingdom first, we come to see how very much He wants to give it to us. Prayer: Father, help me to see this principle of Your kingdom more clearly than I ever have. Help me to make the spiritual leap to putting Your kingdom first and trusting You for the rest. Give me eyes to see how You give me Your kingdom. If you enjoyed this article, check out another by Mark, Can You Hear Me Now? What we do here at Christianity 201 is possible because of the many people who have allowed us to showcase their material and highlight their ministry on these pages. I am grateful for the people who write us quite thrilled that we had discovered their blog or website and wanted to share their message with our readers. When we say “today we’re returning to;” or “today we’re back with;” we’re reminding ourselves and them that they have at some point allowed us to feature their writing, or in some cases gave us permission to do by email. Occasionally, in the excitement of reading great articles, we’ll post something for which an author has expressly indicated copyright. While most of us get to do this in our spare time, there are some who make their living writing and don’t want web searches to take readers to secondary pages where their material has been used. Earlier today we accused of copyright infringement for using an article in 2017 where the article was too long for our format, but contained excellent information we thought would be helpful to readers. We went out of our way to encourage people to read it at source, but we did copy an excerpt from each of six sections, plus we were unaware of there being a copyright notice on the article at that time. For that I apologize. This is also a good time to remind everyone that Christianity 201 and Thinking Out Loud are not monetized in any way whatsoever. Any advertising you see originates with WordPress and we are not aware of it. Lori Thomason at Pure Devotion is being highlighted here today for the 4th time. Click here to read her story. Lori lives in Tallahassee, Florida; a state which has been on the top of the news reports this week in view of the weather. What appears below is quite timely. Click the title below to read at source. Matthew 7:24-25 (MSG) “These words I speak to you are not incidental additions to your life, homeowner improvements to your standard of living. They are foundational words, words to build a life on. If you work these words into your life, you are like a smart carpenter who built his house on solid rock. Rain poured down, the river flooded, a tornado hit—but nothing moved that house. It was fixed to the rock. A week ago, my dad was talking about hurricane preparation and my mom scoffed it off that “hurricane season is over.” I remember thinking “oh boy, here we go” though I am not very superstitious and choose to call it caution. Sure enough, just like that, a hurricane is bearing down on us. The storm developed quickly and is now in the Gulf of Mexico headed straight for us. The community is chaos. Businesses shutting down. People evacuating. Gas pumps running dry. Store shelves emptied. Frantic pleas for fuel, food and water goes on social media for those unable to beat the stampede. It would be easy to get overtaken by the fear and anxiety of it all. Preparing for evacuation this morning, I am thankful. Yes, thankful. The Lord has blessed us with a beautiful home and more material things that I could ever have imagined I would own. I have a closet and drawers overflowing with clothing and a thrift store bag that hasn’t made it there yet. The refrigerator is full of food minus the expired things that needed to go anyway. The pantry has plenty of non-perishable items. I even found the hurricane things I ordered last year that arrived two days after the storm. Plenty of water and batteries on hand yet I didn’t step foot in a grocery or discount superstore in the last 24 hours. I am grateful to God for the nice house that collects all these things. I appreciate His Goodness that is clearly evident as I take pictures for the insurance company in case of loss. I will load my family into a very nice, gas-filled vehicle and head to the safety of my parent’s home while my husband stays here with our pets. He also has many options should he need to find higher ground. Why? Because friends, we built our life on the rock. Rain poured down, the river flooded, a tornado hit—but nothing moved that house. It was fixed to the rock. Where do you live today? Brothers and sisters in California have been fighting wildfires. To the north of us, the Carolinas are still overcoming the devastation of the last hurricane that made landfall. Rain caused tremendous flooding in the area. The enemy wants panic to ensure and chaos to break out. He want people to turn against each other fighting over cases of water that is already free-flowing from their sink. The enemy wants to destroy you from the inside out with fear, worry, anxiety and stress. It all eats away at faith that is the foundation of our life as believers. He wants us to stop being kind, loving, gracious and good to one another and instead become those we strive to reach and change every other day with His Love and Light. Lord, please calm the storm within even if it must still rage all around. Psalm18:31-36 (MSG) Is there any god like God? Are we not at bedrock? Is not this the God who armed me, then aimed me in the right direction? Now I run like a deer; I’m king of the mountain. He shows me how to fight; I can bend a bronze bow! You protect me with salvation-armor; you hold me up with a firm hand, caress me with your gentle ways. You cleared the ground under me so my footing was firm. Oh, I get it my friend, the storm is definitely raging in my life. Today it is external but internally I have perfect peace. Everything I have was provided by God and every blessing has His Name on it. If the storm wipes out our home and all the material things that have been accumulated – the crazy thing is that the best is yet to come. God cannot do miracles without impossibles. He can’t pour out His Goodness on those with no place to receive it. Sometimes God uses natural catastrophes to get the attention of His People so they will return to the Rock and experience the greatness of His Kingdom. So let the storm rage around you, but be sure to stand firm on the bedrock of faith laid by Jesus. He will be your Peace. He controls the natural and supernatural occurrences of your life when you yoke everything to Him. Whether tomorrow I wake to devastation or the peace after the storm – I will not be moved. The Lord is my rock and my foundation. I have nothing to fear. For the third time, we’re highlighting the writing of the man with the unusual name, Smith Wigglesworth, a Pentecostal evangelist who died in 1947. In 2013, we did an entry on him in our quotations series which you can find at this link. The following is the April 14 entry in Smith Wigglesworth Devotional (Whitaker House). Just think of that satanic power. The Devil goes about to kill, “seeking whom he may devour” (1 Pet. 5:8), but Christ said, “I came to give life, and life more abundantly” (John 10:10). May God keep us in the place where the Devil will have no power and no victory. I pray God that the demon powers that come out of people in today’s churches will never return again. We must make sure that the power of God comes to inhabit us. Are you willing to so surrender yourself to God today that Satan will have no dominion over you? ► Thought for today: If you want to be healed by the power of God, it means that your life has to be filled with God. Christianity 201 is a melting-pot of devotional and Bible study content from across the widest range of Christian sources. Sometimes two posts may follow on consecutive days by authors with very different doctrinal perspectives. The Kingdom of God is so much bigger than the small portion of it we can see from our personal vantage point, and one of the purposes of C201 is to allow readers a ‘macro’ view of the many ministries and individual voices available for reading. A few years ago I was speaking with someone who was heading off to a small Bible college in Eastern Canada. I asked him if he needed help with textbooks, and he said that the school tends to write their own curriculum as they have a unique take on how they approach some Bible subjects. Sometimes this can be a red-flag, so I asked him to give me an example, but it turned out to be something I found challenging and want to share here. Feel free to refine what I’ve written, or take the list in Exodus 20, and rewrite it in your own personal style or adding things you feel conform to the intention of the text when combined with the application of Matthew 5. Before we conclude, another thing that struck me as I studied this was how The Voice Bible rendered the “You have heard it said” sections of Matthew 5. These are in italics in this version to indicate that yes, the translators have taken a liberty with the original text in order to provide clarity. What is especially worth noting here is that we generally read these with the inference that Jesus is now introducing something new, but these readings imply that the wider implications of what Jesus taught have been implicit in the text all along, if only we could see it that way. His Words or His Works? Jenny writes at Covered in His Dust. This is her first time showcased here at C201, and there are a number of other great posts on her site. This one appeared in February; click the title below to read it there. I started a study through the book of Mark a little over a week ago. In true form, I’m only three days in, but they’ve been a good three days. It’s interesting what things stand out when you read scripture slowly and really sink your teeth in. In Mark chapter 1, starting in verse 21, it says Jesus went to Capernaum and started teaching in the synagogue on the Sabbath. They went to Capernaum, and when the Sabbath came, Jesus went into the synagogue and began to teach. The people were amazed at his teaching, because he taught them as one who had authority, not as the teachers of the law. Evidently these people had never heard anyone teach like Jesus before. There was something different about Him. He taught with authority and it was enough to make the people take pause. But the enemy wasn’t having it. Immediately following this verse, there’s a distraction. Jesus is right in the middle of teaching and the people are finding themselves being drawn to Him and boom…the enemy sends an interruption. But here’s a couple of things I thought were interesting about this scene. First, I wonder how long this guy with the unclean spirit had been hanging around the synagogue. Like, who was he? And what was his influence on the people around him before now? Did they know already that he was possessed or was it only in the presence of Jesus that he was forced to reveal himself? Either way, I think it’s worth noting here how important it is that we stay connected to Christ and in constant fellowship with Him. That we stay in the scriptures. That we stay aware of what’s going on around us. That we are in the habit of renewing our minds (Romans 12:2). Because Satan is sneaky. Who knows where he’s hanging around or how long he’s been there? And if we are counting on our own eyes to see his schemes, we’re in trouble. Second, it’s interesting how this unclean spirit decided to out himself. There’s Jesus teaching like nobody ever and all of a sudden there’s this guy crying out and detracting from the moment, but he’s doing it by addressing Jesus as the Holy One of God. It would seem like this demon is working against the enemy by confirming Jesus’ identity. And while that might be a little true, the fact is that even sometimes things we think are God things can be distractions from the main thing. Only a couple of verses before, the people were astonished by Jesus’ teaching. They were listening to the Son of God talking about His father and they were enthralled. Now it says they were amazed by His authority over demons and immediately His fame spread throughout the region. I can’t help but wonder what spread the most from that occasion? His words or His works? Is it possible that the enemy thought that using a miracle would take the focus off what Jesus was teaching? That people would be more interested in what Jesus could do for them than what He had to say to them? Sorta like, fix their bodies, but stay away from their hearts? Because the heart change was really the point, right? Sometimes even things that seem good or right might not be best. Sometimes the things we do for God can start to overshadow our walk with God. Like it starts to be more about the doing than the being. It’s like something Noelle said the Pursue the Passion conference this past weekend. Walking with God is far better than walking for Him. It might seem like semantics, but think of it like this. If I’m walking beside someone, conversation is easier. Eye contact is easier. But following along behind or getting ahead can break the connection. It’s easy to miss part of the conversation or even the direction the other person is going. It’s not to say that doing God’s work is a bad thing. But when our relationship with God gets off track because we’re fixed on this thing or that thing, God’s work really isn’t God’s work anymore. Now it’s our work. And I’ve come to realize more and more that if I’m going to stay in line with God’s will for me, then I’m going to have to stay in line with Him. God, help me keep my focus. When my eyes wander to great and mighty things instead of the Great and Almighty God, draw me back. Today we’re paying a return visit to the Canadian devotional blog, Partners in Hope Today. Just for today I will strengthen my mind. I will take a few minutes to read and meditate on God’s word, seeking God’s perspective for my life today. I will take note of one helpful thing God is saying to me and seek to behave accordingly. There are many ways we can interact with God’s word on a regular basis. Most individuals in recovery start their day early with a bit of quiet time and read a selection from the Bible, from the Big Book, or from a meditation book – often a combination. It doesn’t matter if the words are from a traditional book or from an app on our smart phone, these truths can help us focus on a positive agenda for the day. Our minds have long been patterned on the negative and the self-centered. By starting the day with a desire to hear from God we give ourselves fresh eyes with which to see and understand life in us and around us. God has plans for us to have a meaningful day and have a positive influence on every person and situation we encounter. We read God’s Word to get to know God and to know these good plans. Spending time with God also helps us learn His principles for life and relationship and understand how He acts on our behalf. Real change happens for us when we don’t just get to know God’s will but actually put it into practice. Each time we read God’s Word it’s important to ask Him to show us what He wants us to know and what He wants us to do with what He is teaching us. The exact nature of our wrongs is rooted in the lie that our problems are caused by what is around us rather than what is within us. It’s time to admit to God, to ourselves, and to another human being that our way of dealing with problems does not solve them. Doing things our way creates greater problems for us and for those around us. It’s time to confess that we cannot do life on our own and to seek God to help us change our ways. God’s instructions should be our first choice every time rather than our “choice of last resort.” We need to learn from God’s word and listen to the voice of the Holy Spirit within us. We need to heed the advice of mentors and others who have faithfully walked with God for some time. With God’s help we can put into practice all that we have learned. It’s time to agree with God about the exact nature of our wrongs. It’s time to admit that we are guilty of wrong thinking and wrong behaving. If we claim we have no sin, we are only fooling ourselves and not living in the truth. But if we confess our sins to him, he is faithful and just to forgive us our sins and to cleanse us from all wickedness. (1 John 1:8-9 NLT). When we finally face the reality of our sins it is helpful to recall God’s loving and merciful nature. No sin is too great to be forgiven. Jesus has already paid the price for sin with his death on the cross. Today’s article is by Robby McAlpine and first appeared at the website Think Theology. Click the title below to read at source. The process of refining silver, in the era when the book of Proverbs was written, is an evocative picture of how our hearts are refined. It’s a “made for sermon illustration” metaphor that I really like. Silver is purified by the refiner, who brings increasing heat to bear on the unrefined metal. As the heat increases, all the impurities rise to the surface, and the refiner skims them off. The process is repeated until the desired result is achieved: a clear reflection of the refiner’s face in the silver. The spiritual parallel is stunning; God refining our character until He sees a clear reflection of Jesus in us. Whenever we pray for more of the Spirit’s power and presence in our lives, we should not be surprised that the heat gets turned up, and some of our “schtuff” flares up in our face. That’s how it works, after all. More of the Spirit’s work in our lives means more refining as part of the overall package. There are ‘mountain top’ moments that are exhilarating, but there are also difficult ‘valleys’ — both are part of the Spirit’s work in our lives. Which is why things can get wild and woolly during times of revival. The Holy Spirit is poured out in ways that go beyond ‘typical’ — the ‘omni’ presence of God becomes the ‘manifest’ presence — and there are a wide range of responses from people. Some sin will be stirred up by the Enemy, trying his darndest to discredit what the Spirit is doing. And the critics of renewal movements delight in pointing this out, as if the presence of sinful activity ‘proves’ that God is not involved. And some sin will be stirred up by the presence of the Holy Spirit, so it can be dealt with. That’s what a good Refiner does. ‘Revival’ is always connected to repentance. Whether it’s people coming to faith for the first time, or believers having the low-burning embers of their faith fanned into flame once again, repentance unto a holy life is normal. There should be nothing shocking about sinful patterns being forced to the surface during times of revival/renewal. That’s how the Refiner’s fire works. The heat is on. If you find yourself crying out for more of the Spirit, and sin & the temptation to sin seems to flare up — don’t rebuke the devil (except where appropriate) and don’t allow yourself to become discouraged. Instead, recognize the hand of the Refiner, and co-operate with the Spirit’s purifying work. The heat is on. And the end result will be worth it. The time for judging this world has come, when Satan, the ruler of this world, will be cast out. For such people are false apostles, deceitful workers, masquerading as apostles of Christ. And no wonder, for Satan himself masquerades as an angel of light. We’re back again at Done With Religion by Jim Gordon. If you click the title below and then click the banner at the top of their page, you’ll see that this is a blog written from the perspective of ones who left the institutional church, a numerically significant group. He is able to make contact with people that other blogs, including this one, might not. To see some of that dialog, click this link and read the comments. Growing up in church we have always been told that God was a god of love. In fact, it is stated in the bible that God IS love. Yet so often we have seen more of a judgmental and condemning God by the actions of many christian people over the years. Take for instance a popular song I remember singing while growing up in the church: Onward Christian soldiers, marching as to war. Now I know the intent was to show we are in a battle, but the battle is a spiritual one. Our battle is not against flesh and blood but so often we fight people rather than spiritual forces and principalities. We turn people into enemies rather than the spiritual forces of evil. To often these days we seem to live in a spirit of war rather than love. We spend more time arguing over doctrine and interpretation with our brothers and sisters in Christ. We argue so much over sin that we become judgmental and condemning toward those who see things differently or are not of faith or belief in God. Over the years many churches have taught that although God is a god of love, he was also judgmental, mean and condemning. We are told that we better do our best to please him or we will be in danger of judgment. Yet Jesus came to show us what the Father was really like. He showed love, compassion, acceptance and forgiveness to everyone, especially to those most of the religious world would have no contact. Even though Jesus showed us that God loves us, we still turn the cross of Jesus into a weapon for our personal cause or belief rather than a symbol of love and good news. If we are going to be Christian soldiers let it be against spiritual forces and not against our fellow human beings. Rather than fight and argue, let the love of God touch everyone you meet throughout each day. Salvation into God’s eternal kingdom is accomplished through the death and resurrection of Christ. Concerning baptism, Peter wrote, “the resurrection of Christ, who has gone into heaven and is at God’s right hand—with angels, authorities and powers in submission to him” (1 Pet 3:22) saves you or delivers you from danger and possible death through your response to your cleansing with a good conscience or the maintenance of a good conscience. The struggle for eternal salvation is not completed by the imputation of Christ’s righteousness. Paul has stated that he–the main expositor of God’s truths on the matter–had to continue to work out or to finish his perfection to gain the hope of resurrection (Phil 2:12), and acknowledged that he had not yet been made perfect (Phil 3:12). The writer of Hebrews has stated that perfection applies to “those who are being made holy.” (Heb 10:14 NIV) In his letter to the Ephesians Paul cautioned that believers were to put on the armor of God and to stand against the devil’s schemes. He reminded Christ-followers, “For our struggle is not against flesh and blood, but against the rulers, against the authorities, against the powers of this dark world and against the spiritual forces of evil in the heavenly realms.” (Eph 6:12) A struggle remains simply because life and opportunity for sinning remains follow the imputation of Christ’s righteousness. Although the confessor may have been rescued from the consequences of past sins through the Lord’s blood offering, he or she must still contend with the devil for victory over the demons, powers, and evil authorities in the heavenly realms that could devour them. It is through Christ’s resurrection that such victory can be gained. Christ has not defeated the devil to the point that he cannot and does not influence, and even destroy, lives. That will not happen until the era of the millennial years when he has been bound and is unable to deceive any longer. Peter admonished, “Be self-controlled and alert. Your enemy the devil prowls around like a roaring lion looking for someone to devour.” (1 Pet 5:8 NIV) The fight has not been finished, nor has the victory been won. The keys to death and Hades have been taken from Satan and belong to Christ (Rev 1:18); the allocation for death and Hades has become Christ’s determination. Satan has not yet been prevented from exercising his evil schemes and from devouring the unwary. Through his death and resurrection Christ has gained authority over angels, authorities, and powers in the heavenly realms. That is, he can use them according to his own desires for the accomplishment of God’s eternal purpose. (Eph 3: 10─11) He is in charge. Satan is very much alive and active but the angels, powers, and authorities in the heavens are under Christ’s administration. Believers will be tested to discern their commitment and to reveal their heart-state. Certainly, eternal salvation can be gained, but it requires the believer to walk humbly in obedience to Christ. (Heb 5:9) He will discern those who love him as evidenced through their submission to him, as opposed to those who claim to love him but who are willing to live under the influence and control of the evil one. Paul wrote, “What then? Shall we sin because we are not under law but under grace? By no means! Don’t you know that when you offer yourselves to someone to obey him as slaves, you are slaves to the one you obey—whether you are slaves to sin, which leads to death, or to obedience which leads to righteousness?” (Rom 6:15─16 NIV) The Lord has said, “Everyone who sins is a slave to sin. Now a slave has no permanent place in the family, but a son (those led by the Spirit, Rom 8:14) belongs to it forever.” (Jn 8:35 NIV) The evil one can still bring about destruction, but God’s eternal purpose can and will be fulfilled through the Lord’s intervention in lives to the extent that he chooses, in those who have been called according to his purpose. A mere pardon for sin does not provide for the accomplishment of God’s purpose for creation. He desires a kingdom of priests, a holy nation with inhabitants conformed to the likeness of his Son. The Lord’s authority over the heavenly beings is available to the called according to his purpose to enable them to live righteously and to fit them for his eternal kingdom. (Rom 15:16) Those who will dwell with him will have freely and committedly chosen to listen to his voice and to follow. His grace is available to those with a humble heart, those who are “poor in spirit” (Mt 5:3 NIV; Ps 34:18), and who recognize the need for his help and seek to gain it. The Lord (the Holy Spirit) works with the Father (the one who searches our hearts) (Rom 8:26─27) to accomplish God’s purpose and he uses his authority over the heavenly beings for that purpose. It is often presented that having been pardoned for sin provides eternal salvation, but the pardon does not provide for the accomplishment of God’s purpose. He desires a kingdom of priest, a holy nation with inhabitants conformed to the likeness of his Son. His authority is available to enable all confessors to accomplish his desired state, but not all will listen and follow. The Lord always allows the expression of free-will because that is also his desired state for humankind. He works with those who truly believe to accomplish their eternal salvation. He will provide a place in the kingdom of heaven After all, he has authority and possession of the keys of death and Hades. His authority over the heavenly powers as enabled through his resurrected life can accomplish God’s eternal purpose and fit believers (Rom 15:16) for his holy kingdom. 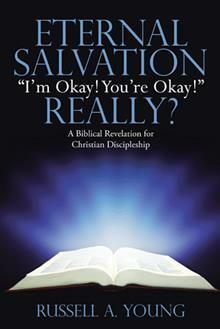 Author Russell Young lives in Ontario, Canada and is the author of Eternal Salvation: Really? available in print and eBook in the U.S. through Westbow Publishing, Amazon, and Barnes and Noble; in Canada through Chapters/Indigo. His column appears here every other Tuesday. To read all of Russell’s contributions here at C201, click this link. There is also a feature-length article at this link.